When it opened in 2000, Chuck Berry played there. Arena acts that don’t always like playing arenas play here (Foo Fighters, Sting). An up and coming punk-inspired bluegrass band fills up the 2,300 seat venue, as does local Grateful Dead tribute band Jake’s Leg. So do rappers, and increasingly, EDM artists. So when it was time to get a new sound system, the choice was actually pretty easy for the Pageant make. They had just installed a similar — albeit slightly smaller — system at the sister venue, Delmar Hall, a few blocks away. A Vue Audiotechnik system went into there, so that’s where the search for a new P.A. began. 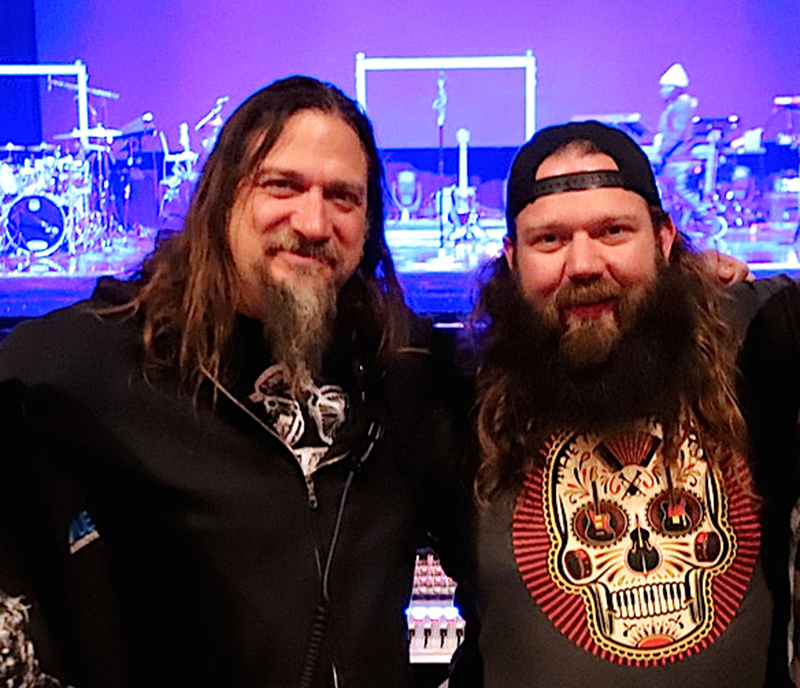 “The last time [the Pageant] updated the audio was in 2002, and that’s when we put in the E-V XLC rig,” Noldge says. “We were one of the early adopters of that, and it worked well for us. 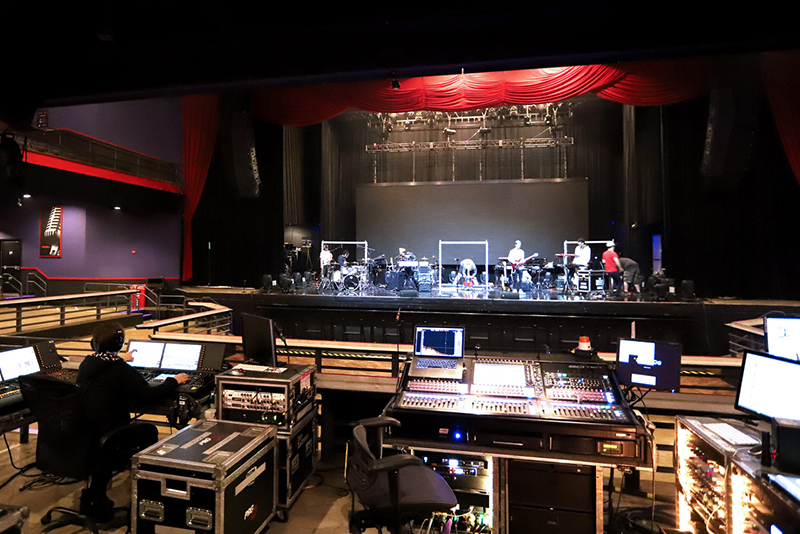 It was a workhorse system — not the most hi-fi, not the loudest, but it got us down the road.” In 2016, Edwards and Hagin opened up Delmar Hall, a 750-capacity venue a few blocks away. 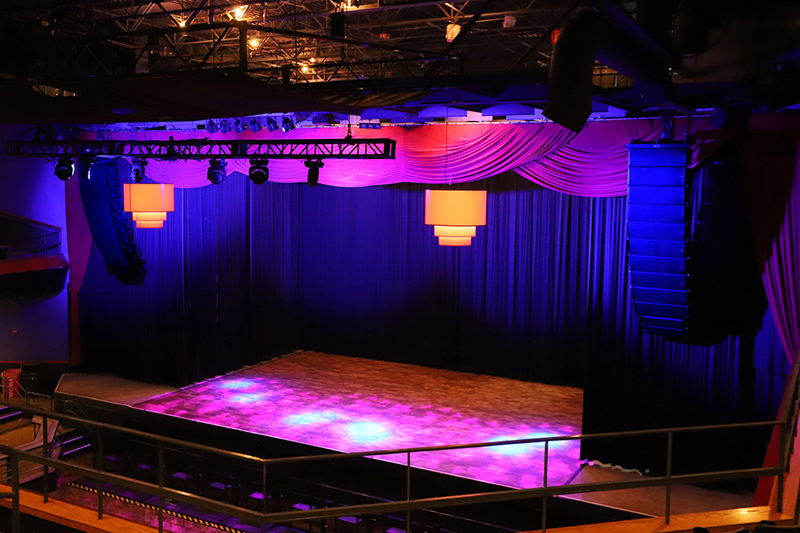 “We auditioned eight or nine systems for Delmar, and the predictability of the Vue system, the ease to set up, the coverage, the sound quality, and of course the costs, all had us concluding that it was the right system for that new hall. 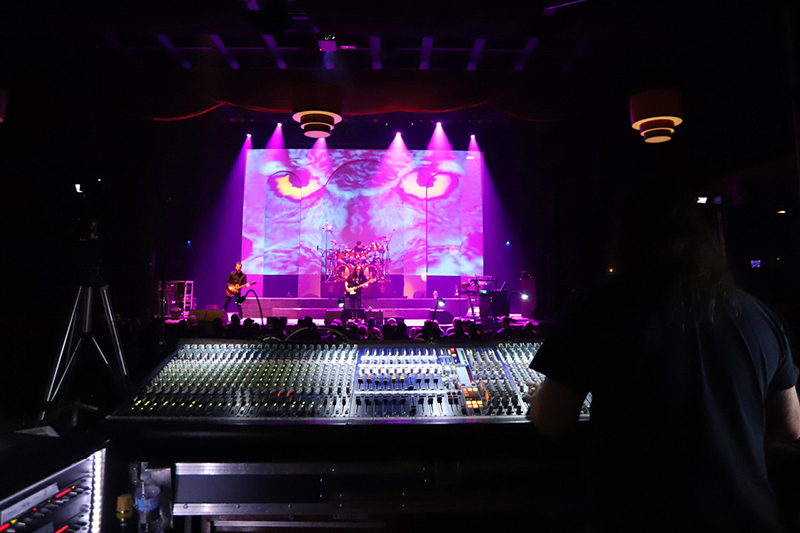 It’s a lot of bang for your buck.” After they installed the Vue al-8 / al-4 combo array there, “we were convinced more than ever that The Pageant had to be next.” A few months later, Vue released its full-sized al-12 array, and as they had such a positive experience at Delmar Hall, it was a natural choice. The new main P.A. 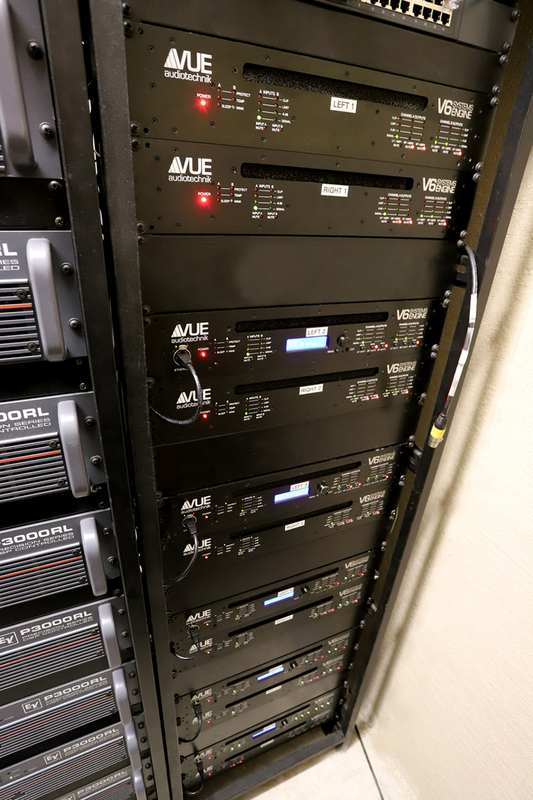 features Vue Audiotechnik’s new al-12 line array cabinets. and they went through a period where no one carried a PA. “Now even when a band shows up with a full system, they tend to leave it on the truck in favor of the house system — the exception being EDM artists.” Now with the new system, they expect the majority of those in that genre to use it. 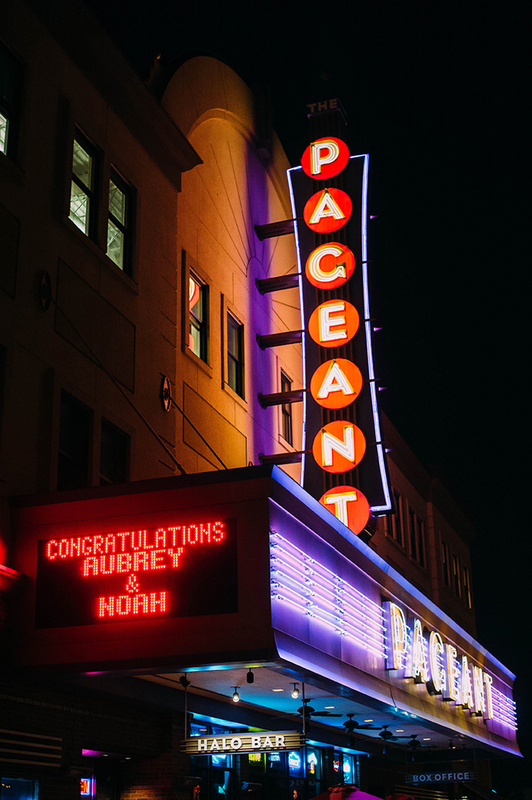 The Pageant plays host to a wide variety of artists. For the permanent system, Noldge employed for a few minor alterations. The final design takes full advantage of Vue’s CST (Continuous Source Topology), which allows different al-Class elements to be combined for optimal coverage without the sonic disruptions associated with conventional mixed element arrays. The left and right hybrid arrays each consist of ten al-12 elements, with two al-8 enclosures added for nearfield coverage. 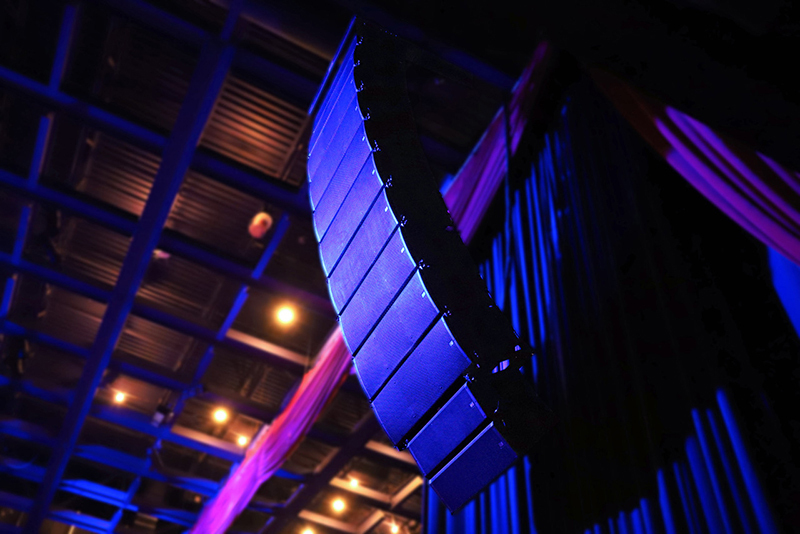 The configuration ensures consistent and uninterrupted delivery of Vue’s beryllium voice, nearfield coverage across the full width of the stage, and improved sightlines, thanks to the smaller elements occupying the lower portion of the main arrays. Rounding out the rest of the system, Noldge added six Vue a-12 full range systems as supplemental fills for the far left and right of the low headroom under-balcony area. Vue a-8 two-way systems provide support for the VIP boxes. A total of 11 VueDrive V6 Series Systems Engines deliver all power and processing for the arrays. Currently, there are no plans to replace the Midas H1000 desk FOH or the Midas PRO2 that’s in monitor world. “Today, 95 percent of bands bring their own desk, but otherwise these are still working great for us when we need them.” For now, the Radian wedges are still in place, but those two will eventually be switched out. Wireless: Shure ULXD4Q wireless receiver, (4) Shure ULXD2 handhelds with SM58 and Heil PR35 heads.